But some Tasmanian devil populations defied those dire predictions. WSU biology professor Andrew Storfer is probing the secret to their survival. His findings may answer fundamental questions about how disease spreads in both animals and humans. Dr. Storfer is part of an international team of scientists studying Tasmanian devil populations. He and fellow scientists from Great Britain and Australia collected Tasmanian devil DNA from before and after the DFTD outbreak. By comparing genes in the old and new DNA, the team identified genetic variants that didn’t exist before DFTD emerged. The variants appeared in regions of the genome linked to immune function and cancer response. 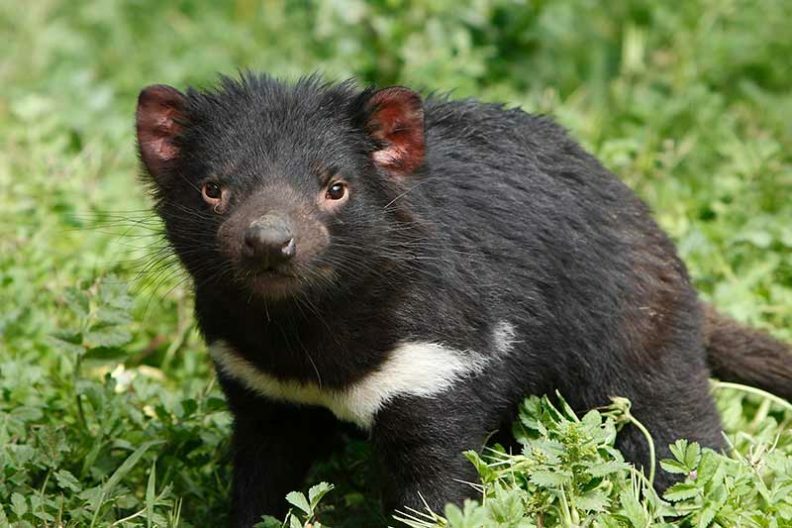 Dr. Storfer’s findings suggest that Tasmanian devils are evolving genetic resistance to DFTD. Dr. Storfer hopes that Tasmanian devils with disease-resistant DNA can be bred to enhance the genetic diversity of an off-island captive population. The offspring can be used to reintroduce the species where populations were wiped out by disease. The research also explores questions about the evolution of cancer transmissibility and causes of remission and recurrence. Answers could protect animals and humans alike.